Psychic is a broad term often used to describe people with intuitive abilities. In truth psychics differ in their abilities and the methods they use to facilitate those talents. In the same way, a doctor might be a general practitioner, pediatrician, chiropractor, endocrinologist, psychiatrist, and so forth. First we’ll go over the most common psychic abilities. Clairvoyants are psychics with the ability to see pictures in their mind. The image may be of a person, an event, a physical object or a place. The pictures seen by a clairvoyant may have happened in the past, may be happening currently, or may be a premonition of the future. Precognition can be thought of as a type of clairvoyance. Precognition is the ability to predict an event before it has happened. Mental telepathy is the psychic ability to read another person’s mind. To illustrate the differences between a clairvoyant, precognitive, or telepathic, let’s use the example of a psychic playing poker. If the psychic can see the cards that another player was holding they would be clairvoyant. If the psychic could read another player’s mind, to know which cards they held, that would be telepathy. If the psychic could tell which card a player would draw that would be precognition. 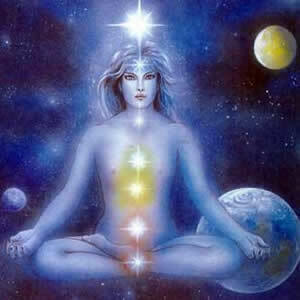 A psychic medium provides information to the client by channeling a spirit. The way that information passes from the spirit through the psychic can differ. Some psychics see a picture or hear the spirit talking to them, and then pass the message to the client. The most well know method of passing information is for the spirit to control the medium’s voice and talk to the client. A medical intuitive is a psychic with the ability to identify the cause of an illness or even heal a client. In present day, John of God is a famous medical intuitive living in Brazil. There are many stories of John of God healing people with serious illnesses. Psychics are unique and each has a preferred technique for employing their abilities. Tarot cards are used by psychics to access intuitive information about a client. During a tarot card reading a psychic may see a picture (clairvoyance) or get a feeling (intuition) about the client and their life. The psychic will then take into consideration all the tarot cards that are laid down and then pass on the information to the client. Psychometry is the touching of a person or an object in order to connect with a client during a reading. For example, a psychic may touch their client’s hand, or hold a piece of jewelry in order to focus their psychic ability and provide more accurate information to the client. Palm reading is the process of examining a person’s palm in order to predict their future. Some psychic palm readers may touch their client’s hands as a way of connecting to the client (psychometry) and not as a way of studying the lines or markings on the hand.